In many workplaces, it’s common for employees to listen to music while they work. While this provides workers with entertainment while they perform their job duties, the overuse of headphones may lead to hearing loss over time, particularly if they listen to media at a high volume. If you find that you have any of these symptoms, visit your GP and ask for a hearing test. Your GP will be able to tell you if you are at risk for further hearing loss. To continue to use headphones at work safely, there are a number of strategies to keep in mind. If you use a smartphone or MP3 player, check to see if you can set a volume limit on it. Many devices have this feature built-in and include instructions on how to set it in the manual. 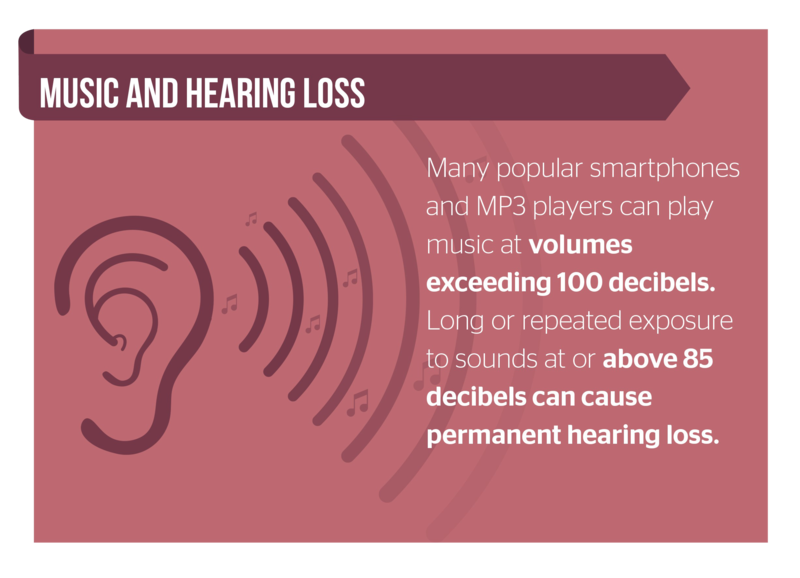 Another way to reduce your risk of hearing loss is to purchase headphones that go over your ears, rather than ear buds. Ear buds fit inside your ear and don’t provide any noise isolation, which causes people using them to turn the volume up louder. As a general rule, set your music volume no higher than 60 to 70 per cent of the maximum and limit listening to one hour per day. Doing so will ensure that you can enjoy your favourite media without harming your hearing.